Find out more about the exciting roles we have open for volunteers this season! Feeling energized by spring? Looking to give back to your community? Want to gain knowledge or new skill sets? 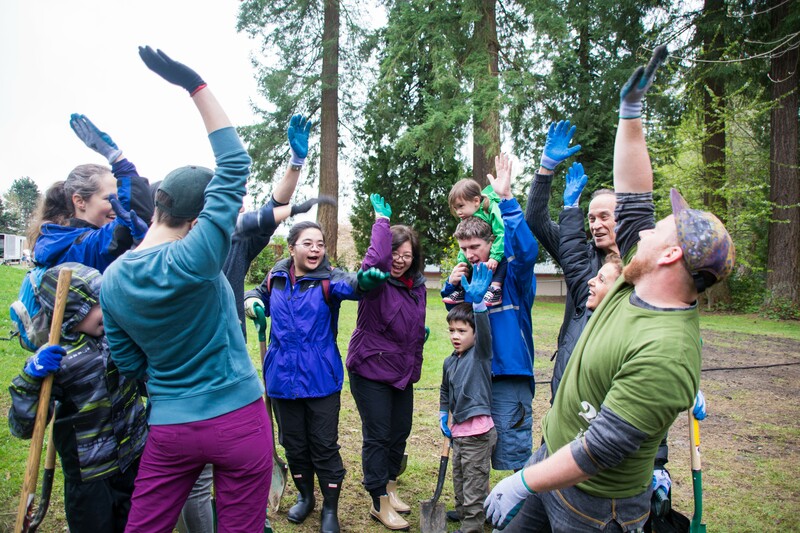 There are plenty of reasons why someone, like you, might like to volunteer at Evergreen and help make our cities flourish. If you’re thinking about volunteering, take a moment to reflect on what you hope to take away from your experience. At Evergreen we want to create meaningful volunteer opportunities that positively impact our programs, while also benefitting you and your goals. People lead busy lives and our irregular schedules sometimes make it challenging for us to commit to longer-term volunteer roles. Here at Evergreen we have a range of special events and one-time volunteer opportunities that might work for you and your schedule this spring. Check out our YMCA Conference- Event Assistant role to learn how you can help on Monday, April 22 for this one-time opportunity. Volunteering is a great way to gain hands-on experience, kick-start a desired career, or enhance your skills in a different environment. Volunteering also creates space for you to step outside your comfort zone and try new things. Our new Arts and Exhibits Host role aspires to take volunteers on a journey to build their knowledge, experience, and leaderships skills. Through volunteering you can get to know your city in a different way. If you’re looking to get outside and connect with community and nature, our North Vancouver City Park Stewards work to help protect and restore nature in the city, while also expanding their knowledge, gaining skills, and taking care of the land. Are you inspired by public spaces and how they can be reimagined and transform into thriving community assets where people can gather, learn, connect, innovate and engage? 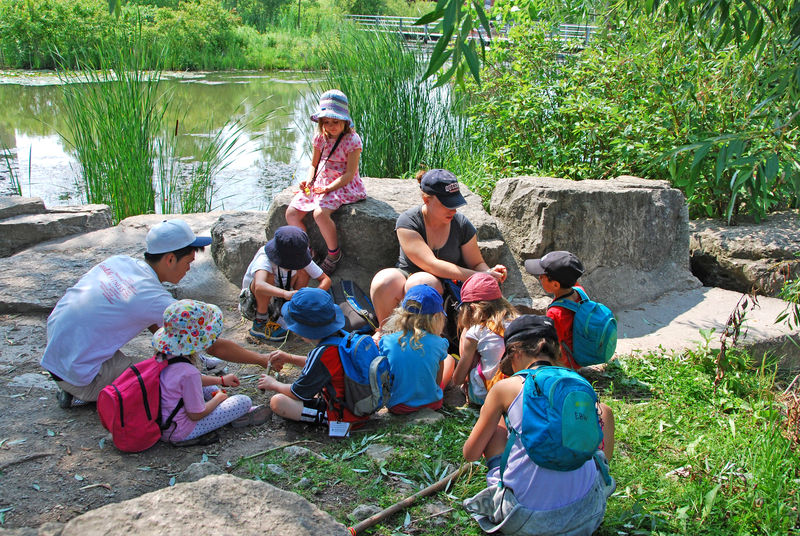 Toronto’s Don River Valley and Evergreen Brick Works are great examples of placemaking in Toronto, and how underutilized spaces can be transformed into thriving community hubs with nature trails, children’s gardens, public art and much more! Check out our Park Advocate role in the Don River Valley Park to learn more about how you can help build awareness and excitement about work in the Valley and engage with communities along the Lower Don. Volunteers of all ages and backgrounds bring unique skills, perspectives, and experience to our team. Programs, like Evergreen’s Adventure Camp, are great opportunities for both experienced volunteers and those who may be volunteering for the first time. Through these Adventure Camp Roles you will get involved, connect with youth, and help foster future earth stewards throughout the summer! No matter where your interests lay, your experience level or your age, there is a volunteer opportunity for you with Evergreen! We can't wait to have you on the team.